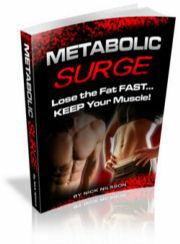 Nick Nilsson, the "Mad Scientist of Muscle"
This 180 page eBook is the manual for the "hardgainer" or anyone that has hit plateau in their muscle gains. The Muscle-Explosion program utilizes Macronutrient Rotation with very unique training techniques to build maximum size and strength. 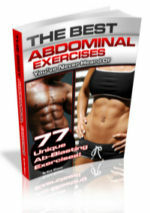 The Muscle-Explosion Program consists of 3 phases, taking place over 4 weeks. Each cycle of this powerful program lasts only 28 DAYS and the workouts take less than an hour to complete (sometimes as short as 20 minutes!). This week focuses on low-carb eating and training geared towards fat loss and depleting glycogen stores.I know it seems strange for a muscle-building program to start with a strict fat -loss phase, but you need to trust Nick on this one. This training is targeted not only for fat loss but to set up your body's physiology for optimal muscle growth in the next phases. This week you are focusing on a major muscle group exercise (such as squats) and you're going to hit the hell out of it.Your diet changes to eating for mass so your body slingshots into a crazy anabolic state.Its called Compound Exercise Overload and if you've hit a plateau in ANY exercise, this technique will shatter it like a brick through a window! Basically, you're going to take a single compound exercise (a.k.a. multi-joint exercise like bench press, squats, deadlifts, barbell rows, shoulder presses, close grip presses, etc.) and do ONLY that single exercise for 45 MINUTES straight. And that is the easy part. For the next two weeks you'll work more muscle groups with Nick's proprietary Stretch-Pause Training techniques. These are VERY intense techniques and they will blow your muscles up.If you wish you can repeat the 28 day cycle for maximum mass gain. 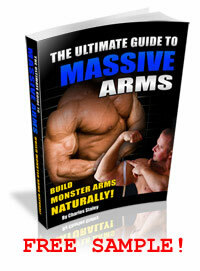 Also included in Muscle Explosion are complete nutrition and supplement sections. There is even an online exercise technique database included so you can see images of the exercises in action. There is only one thing that bothered me about the course. It is the fact that it goes against pretty much everything I thought I knew about building muscle. These are techniques that you've probably never even heard of, let alone tried. But keep an open mind, follow the course and you will be pleasantly surprised with the results. 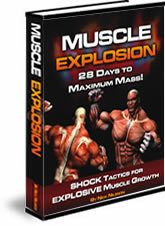 If you think that you are genetically cursed or have stopped making gains, Muscle-Explosion is right for you. These techniques helped Nick transform his 145lb long distance runner body to yoked dude you see on his site. Add in all of the testimonials from satisfied customers, and you can't go wrong. The Muscle explosion program come with a 100% satisfaction guarantee and 5 solid bonuses for the current low price of only $27. My friend its a steal!